For a rainy day is a collection of limited edition earrings, made in sterling silver and black rhodium plated silver. Incorporating semi precious stones like peridot, opal & topaz with the silver shapes creates interesting contrast. 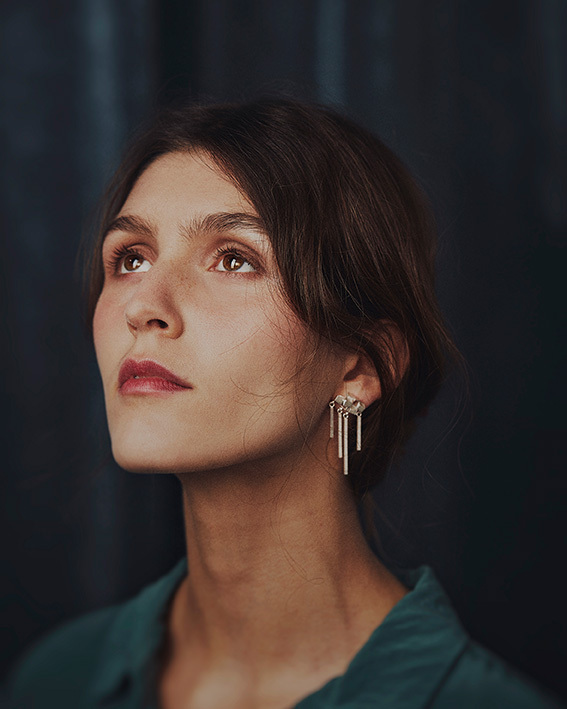 The rainy day earrings take inspiration from rain clouds & showers, with elements of movement as a key feature in the design.